Stevie Nicks is the undisputed Goddess Of Rock, and has influenced a generation of female artists with her style, her music, and the fact that she’s a survivor. For forty years, she’s seen firsthand the ups and downs of the rock star life, and she’s managed to emerge and thrive, and is more respected and beloved now more than ever. Today is her 66th birthday, so let’s attempt the impossible. Let’s rank her 66 greatest songs, both solo and with Fleetwood Mac. If you don’t agree with the rankings, well, tomorrow they might be totally different, but this is a good place to start to begin your Essential Stevie Collection. Click through to The Backlot for the 66! Gold Dust Woman, Stand Back, Edge of Seventeen, Gypsy, Rhiannon, Landslide, Sara, Dreams, Sisters of the Moon, Silver Springs, Angel, Belladonna, Rock A Little, Still of the Night, I can't wait, Seven Wonders, Gold and Braid, and MUCH MORE!!!! HAPPY BIRYHDAY!!!! I HAD THE GREATEST TIME OF MY LIFE GOING TO SEE YOU WITH FLEETWOOD MAC IN NEW HAMPSHIRE A FEW YEARS AGO. I WOULD LOVE TO HAVE THE OPPORTUNITY TO SING AGAIN. MY FAVORITE DVD IS WHEN YOU WERE IN RED ROCKS COLORADO. Mike Said.... I have loved Stevie Nicks since the album Buckingham & Nicks. I just wish I could meet her in this life time in person. She is the Queen of Rock!!! 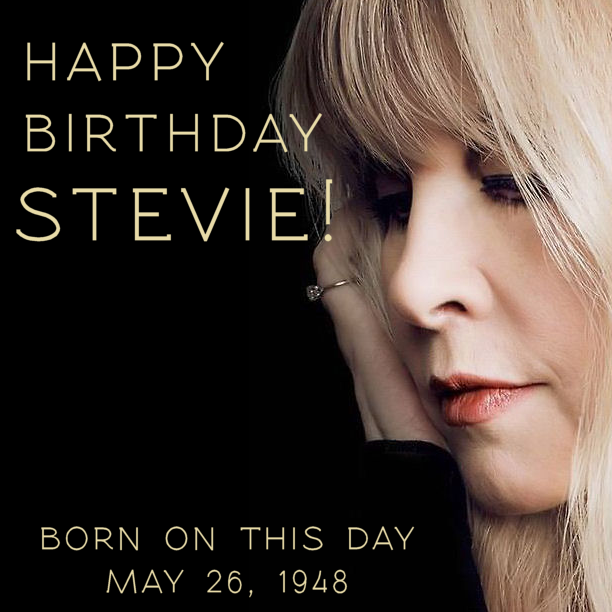 Go Stevie, Happy Birthday! Sleeping Angel is deservedly in the Top Ten. One of her best songs evah! well if that is up to date then they are missing 5 or 6 tracks off In your dreams like moonlight, annabell lee, for what it worth ,new orlenes, soliders angel. ghost are gone. and a few oldies like ooh my love , nothing ever changes, rose garden. there are too many song. She is a godest, she just blows me away Love her always. A steviefanforever!!! So many songs - kind of a weird list. I would have honed it down to 25.
is there a list of 100 ??? Soldiers Angel and Moonlight certainly should have been on that list.